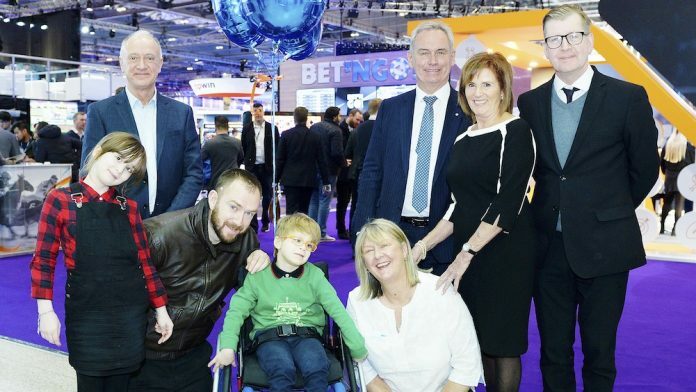 Clarion Gaming Managing Director, Kate Chambers, utilised the opening day of ICE London, the world’s most influential gaming expo, to launch a new partnership with CHIPS, the gaming industry charity that has raised more than £2m to provide bespoke wheelchairs for children with profound mobility issues. Five year-old Harley Hickling-Allen was the first beneficiary of the new partnership. 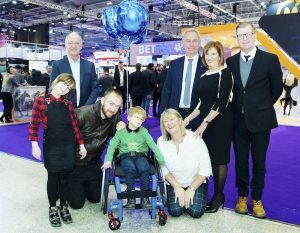 Harley who has a diagnosis of MLCRD syndrome which limits his mobility, due to difficulties with balance and control of his muscles, received his new lightweight chair in a presentation set against the backdrop of the showpiece event for an industry which remains the single biggest contributor to CHIPS.